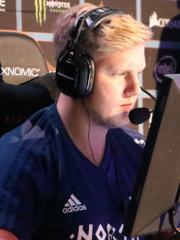 Renè "cajunb" Borg is a Danish CS:GO player, formerly a Counter-Strike: Source player. Currently, cajunb is ranked #225 in highest overall earnings, and #12 in highest earnings for players from Denmark. Out of the 122 tournaments where cajunb received a cash prize, the largest was $50,000.00 from EPICENTER 2016 - CS:GO Finals on October 23, 2016. His 1st place finish makes up 12.60% of his total prize money won. cajunb overtook the $100,000 milestone on November 17, 2015, winning $3,600.00 and placing 1st at ESL ESEA EU Pro League S2. Prize money from 62 tournaments got him to that point. In the last 90 days, cajunb has been awarded $3,400.00 in prize money from 4 tournaments, none of which came in the last month.